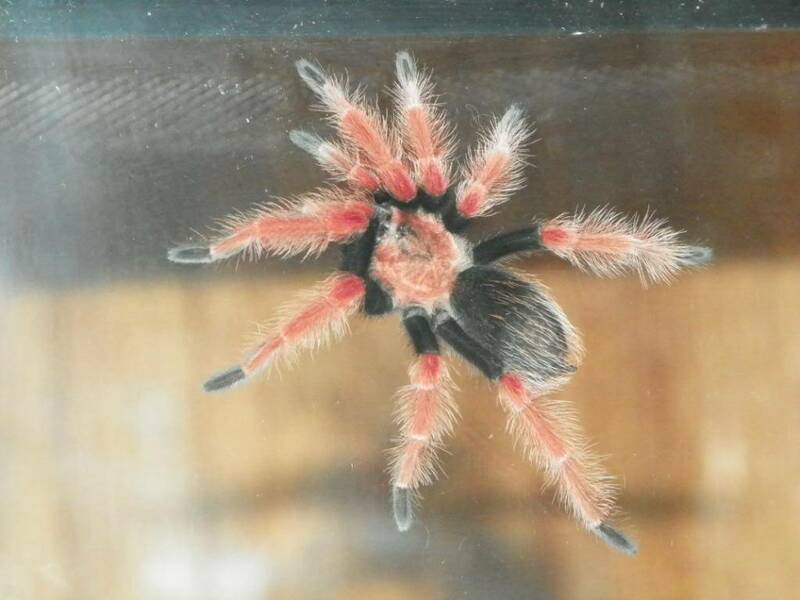 This is my Avicularia versicolor, Antilles Martinique Pinktoed Tree Spider - Monique Le Spidere. It will be a purple & pink color when mature. 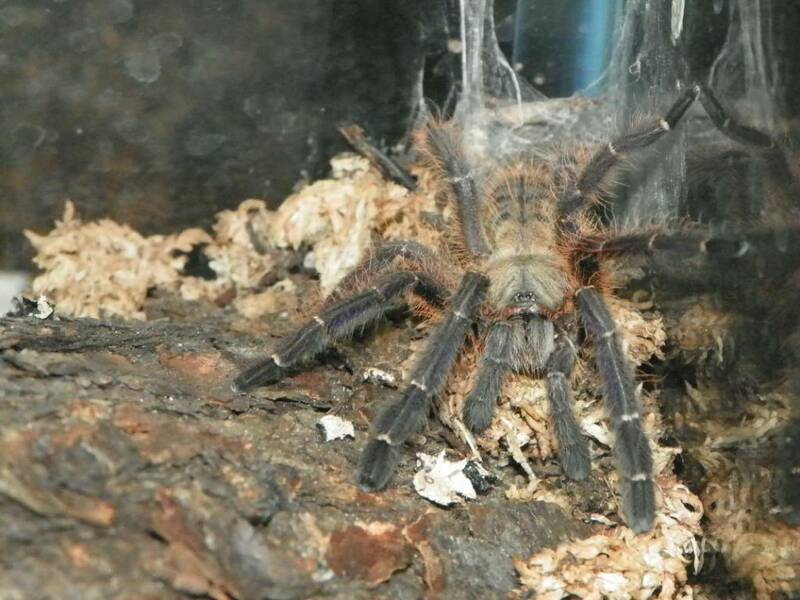 Next is my Chromatopelma cyaneopubescens, Greenbottle Blue - Raecine Le Rainbow Spider. They are very colorful when mature. I'm going to see if these will post. My internet provider (mobile hot spot) has been going in & out of service tonight. If they work I will continue with the rest of my pics. Had to go back to my pics & correct one of my streams. 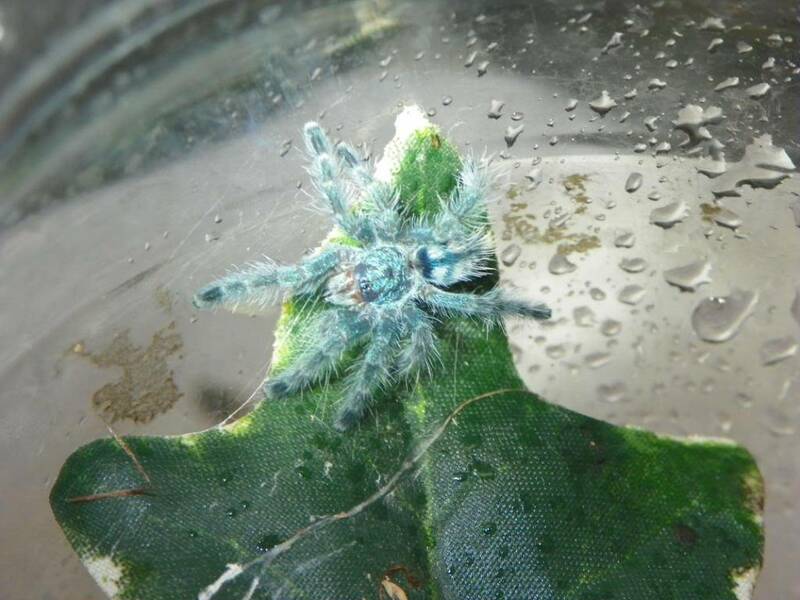 O.K., this next T is going to be my Poecilotheria metallica, Gooty Ornamental,Sapphire -Shimmer T. When this one matures it should be a pretty purple, it is on most of the T keepers "wish list". 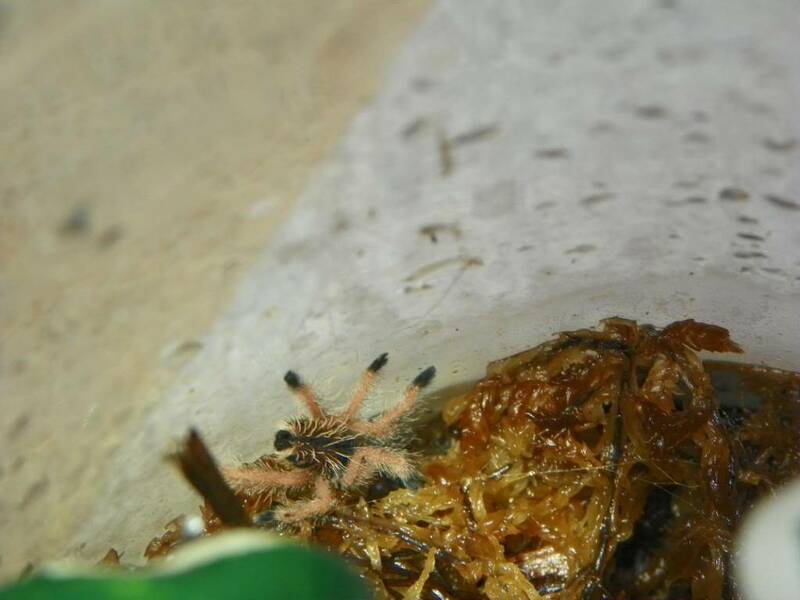 This is my very small Avicularia avicularia,Pink Toe Tree Spider - Willa Starburst Spiderette II. This one is hard to get a good pic of. 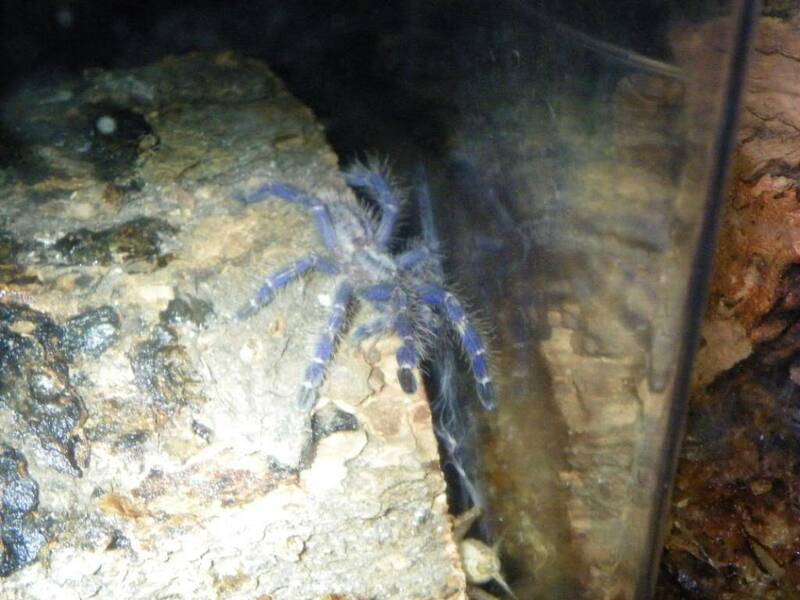 Now this one is my very fast growing Lampropelma violaceopes, Malaysian Blue - Miss Sassy Valosaraptor. 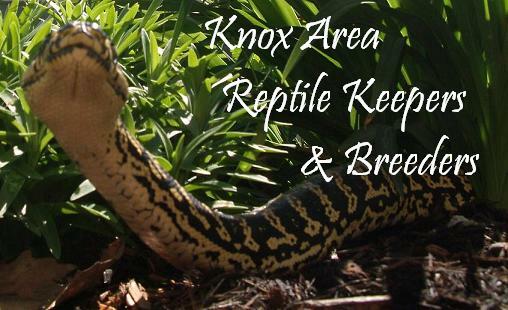 It will have a 9" leg span when mature & is very fast moving. The pic I got was very lucky. That was the first time I've seen it out since I got it about a month ago & it was 1 1/2" then. The L. violaceopes will be a deep blue when mature. 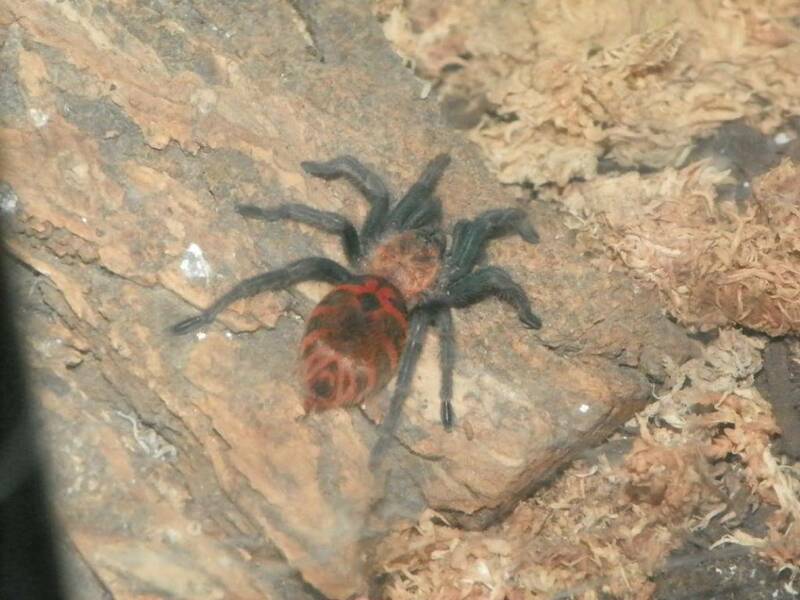 You can see a hint of color on it's legs now. 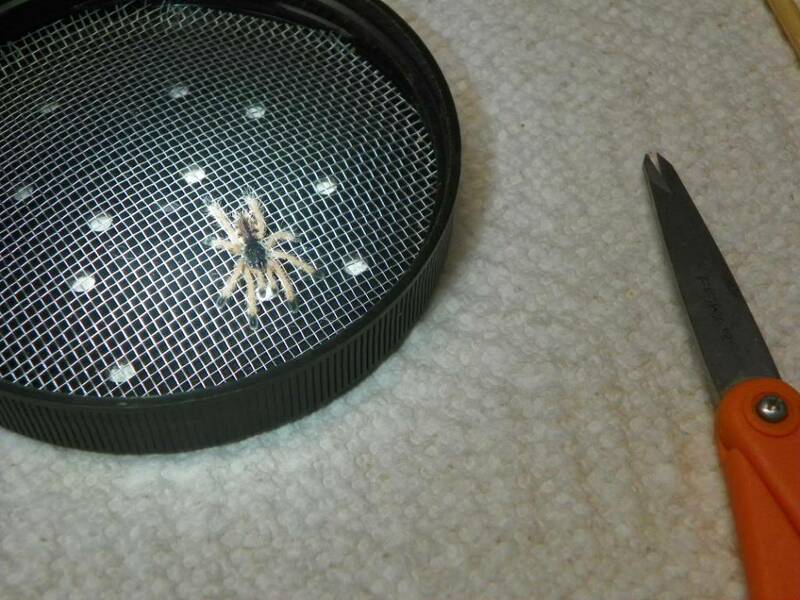 This is the Wolf Spider I caught in my tub & decided to keep. 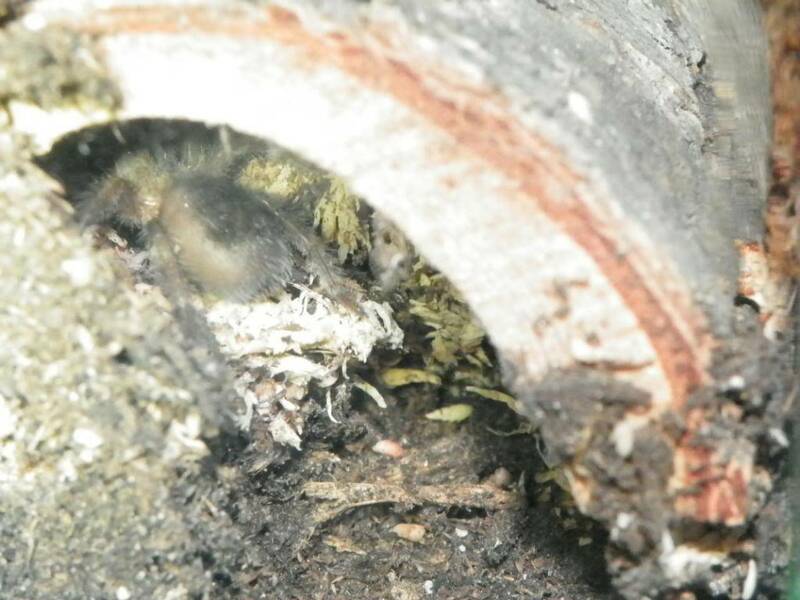 It was the smallest one that got trapped in there this summer. They seem to love my tub! The others I caught in a bowl & took back outside. I'd swear a few looked familiar?!! The last one will be a little hard to see of my Grammostola pulchra, Brazilian Black - Indigo Midnight Spider. It is in the same family as the rose hairs are. 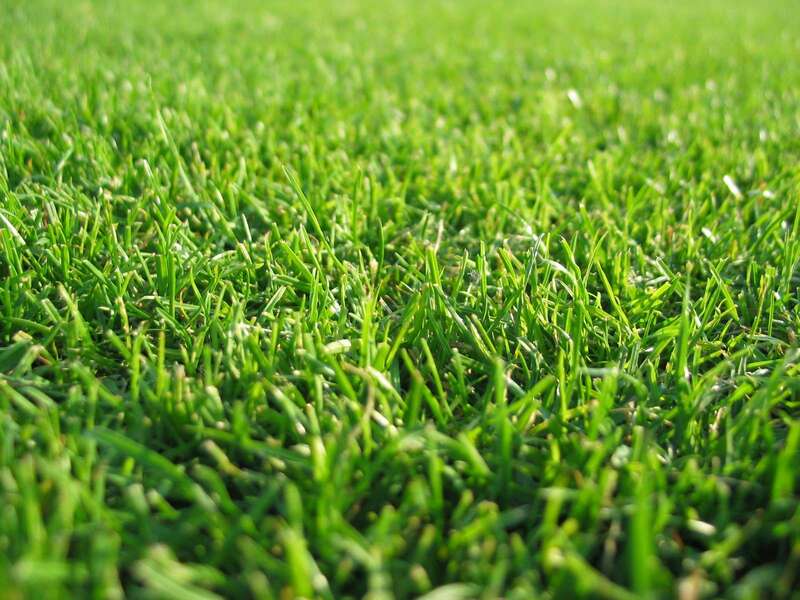 It is a solid black color when mature. I still have 3 I don't have pics of yet. 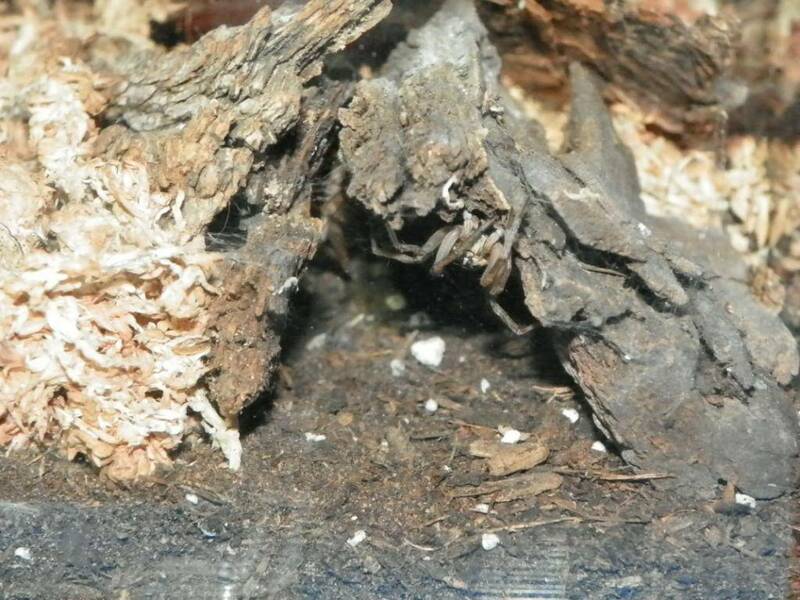 One is still very tiny, one stays hidden & Tessa T my first sub-adult female Grammostola rosea is holed up in her hide preparing to molt. 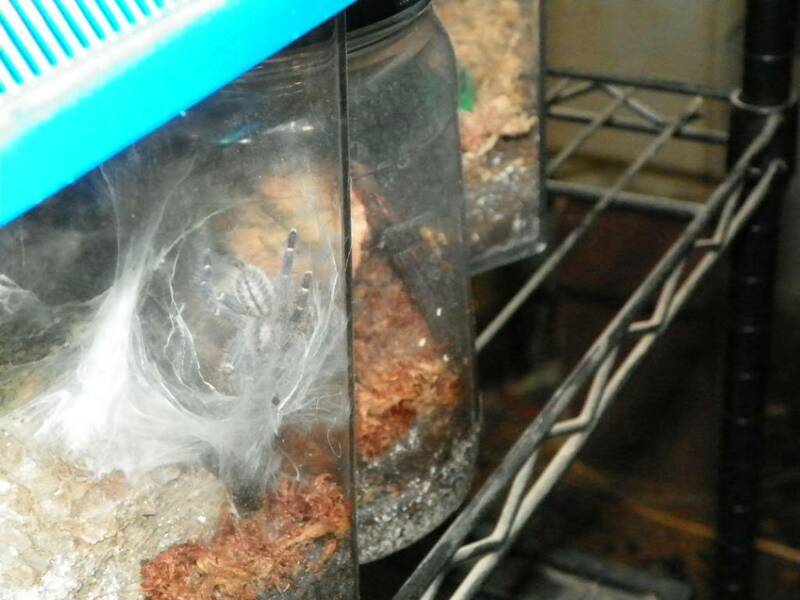 Hope ya'll liked the "arachnophobia movie", as long as they stay in their containers I'm alright with them. Those are some great pics! 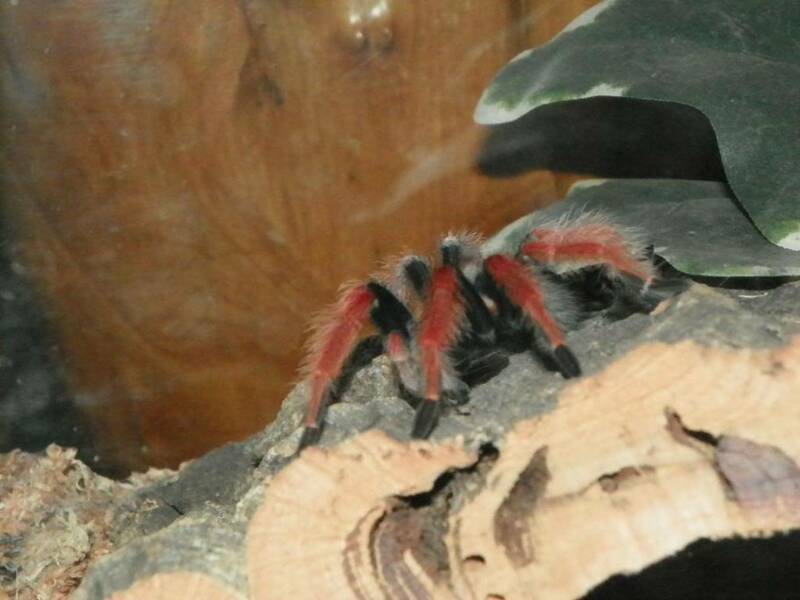 I think tarantulas are really pretty but I don't think I'd want to keep any, myself.